The Mirror of Deceit | Smile, God Loves You! In today’s world we have a false “Christianity” spreading in epic proportions across the globe. Through both mega churches and smaller ministries there is a gospel of wealth and ease being taught as opposed to the gospel of Jesus. The consenting message is that the Christian life is easy and comes with abundant prosperity and perfect health, and anything that gets in the way is from the devil and to be rebuked. Sadly, the devil has fooled many with this lie as they stare into the mirror of deceit. Christianity is not about self indulgence and prosperity; this is a heresy that puts millions of lives at risk! These lies belong to the devil and he spreads them so people will honor him instead of God. And people are soaking them up because they don’t read the Bible, they don’t know God and they have never come to the Lord in repentance and asked Him to come into their lives. Instead, they think that they can just come to God and demand whatever they want from Him because they are entitled to it all. And as they rest their eyes onto the deceivers who are preaching, greed takes over and they strive to become as wealthy as their leaders. The Bible is NOT about “me” or about what “I” can get from God, or how “I” can be all I can be as long as I quote scriptures and claim it. God is NOT my puppet or my servant. “I” am not the focal point of the scriptures. And any religion that says it’s so is a lie! People need to study the Bible and learn about God. They need to get their priorities in order and realize that Jesus is not only the Savior for those who come to Him in repentance, but He is also the Judge over those who don’t. God is the creator of the universe and of everything that exists on our planet. John 1:3 says, “All things were made through Him, and without Him nothing was made that was made.” People are under HIS authority. He is God; He is our Heavenly Father and we are His children, not His equal. God is omnipresent—He is everywhere all the time and no person on earth has this power regardless of who they think they are. God is omnipotent—He is all-powerful and nothing is impossible to Him. No person on earth has this much control over anyone, but through deception they will lure in their victims to believe a lie. God is omniscient—God knows everything. People can only attain a minute fraction of God’s knowledge until we are with Him in eternity. We can’t hide from Him, keep secrets from Him, or even have private thoughts apart from Him. He sees and knows everything. We learn in Genesis chapters 1-3 that God made everything, including a garden that He planted and people that He created to live in it so He could have fellowship with them. The Old Testament is about the actions and rebellion of mankind after the fall of Adam and Eve. It’s filled with prophesies about the coming Christ and God’s redemption plan to get sin out of His children so they could once again be with Him. The New Testament teaches us about Christ, His gospel and our part in His kingdom. 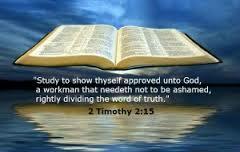 The scriptures are our instructions or manual for life that allows us to know God and to be part of His plan. 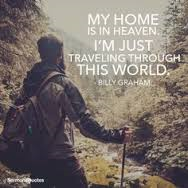 Earth is not our home; it is not our eternal retirement resort; and it is not the place where we live in abundance outside of God. But it is the place where man has taken it upon himself to rule OVER God’s rules so that he can be head of the earth. Satan deceived Eve into believing that she would know everything God knows and be entitled to everything God has, and the devil is still deceiving people with this same lie today. He is growing in power through fools who think that the life of a Christian is non-conforming and prosperous, where one lifestyle fits all. Jesus tells us that the Christian life will be hard, that we will be persecuted and that our lives will suffer constant abuse from the world because of Him. The world hates Christians because it is ruled by the devil who hates God, and if we are saved and live according to God’s laws, then we will be mocked and we will be hated—not admired and accepted like a celebrity. 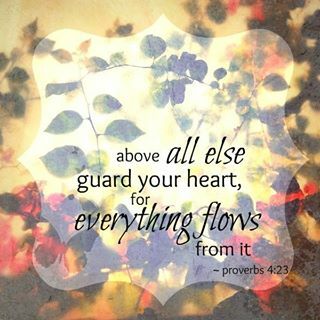 We’re told in 3 John 1:2 that God wants us to prosper and be in health “even as our soul prospers”. Unfortunately, heretic doctrine teaches that this means God wants us to be rich and abundant in material possessions. But prosperity isn’t just about material riches; it also means “affluence, success, a good reputation”. God wants us to be successful in all that “HE” has set out for us to do—and that means spreading the message of the gospel so others can be saved; it means loving others with the same love that Christ has for us; it means sharing the gospel and the love of God even though we will be persecuted for doing it. When we seek God only for material wealth, it separates us from God and that wealth becomes our god. Don’t let anything that this world has to offer separate you from the love of God. He does not pull away from us, but we pull away from Him because our own lusts and desires take priority over His will. 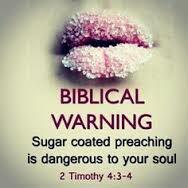 Flee from those who preach the prosperity message rather than the message of the gospel of Jesus Christ. God does answer our prayers and He meets our needs and even gives us the desires of our heart when we love Him and respect Him as our God and Heavenly Father. Jesus tells us often to come to Him with our needs and He will answer us. God supplies our needs and blesses us because He loves us. But don’t expect the journey to Heaven to be a prosperous and easy one because there is a devil out there who hates us and this earth is his battleground. *If you were blessed by this message, please check the “like” button, and then subscribe to this blog so that you can receive all future messages directly into your personal inbox. Thank you and God bless! ← Cherry Pickers Will Choke on the Pits!